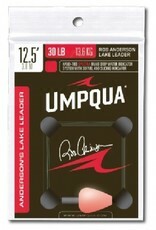 Umpqua Rob Anderson's Lake Leader 12.5' Rob Anderson's Lake Leader was designed to simplify deep water nymphing in still waters. 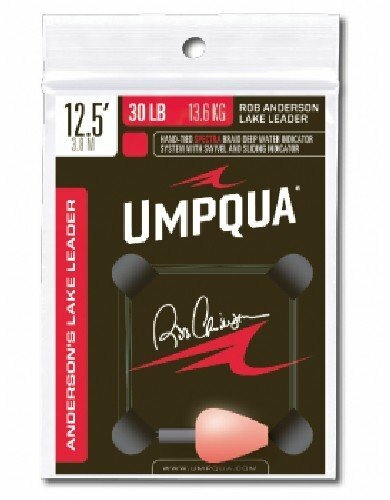 12.5 ft of non-stretch 8-strand spectra fiber allows for accurate hook sets, while the sliding foam indicator allows for accurate depth control in 15+ ft of water. 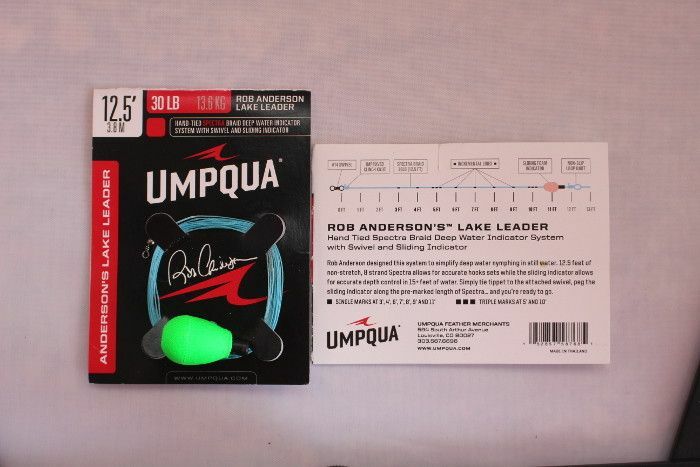 Simply tie tippet to attached swivel, peg the sliding indicator along the pre-marked length of spectra fiber (marked in 1-ft intervals from 3-11 ft). 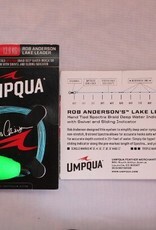 Loop at rear end for attaching to fly line.